3.6 km from Chennai Airport, 13.3 km from Birla Planetarium, Multi-cuisine restaurant & bar, Wi-Fi internet Mahalaya Residency is located on GST Road, within a short distance from the Chennai International Airport. 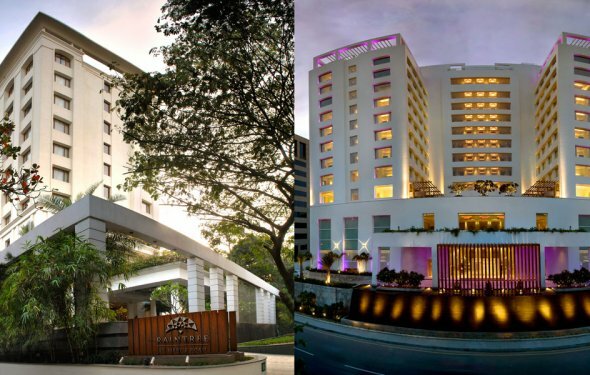 The 3 star hotel lies in proximity to the Thirusoolanathar Temple and Kilkattalai Lake. The well-designed rooms at the hotel are spacious, well-ventilated and centrally air-conditioned. Wi-Fi internet, LCD TV and direct telephone are fitted in all the rooms. There are attached balconies in all the rooms where guests can unwind and enjoy views. The presence of corporate offices, temples and places of tourist interest within a short distance makes this hotel suitable for business as well as leisure travellers. To make for a convenient stay, the hotel offers facilities like same day laundry, valet parking, foreign exchange, doctor-on-call and travel assistance. To serve guests with mouth-watering Indian and international delicacies, the hotel features a stylish multi-cuisine restaurant called Golden Leaf. The hotel also a bar named Colonial Madras within the premises. Proximity to the airport makes the hotel a favourite choice for transit travellers.